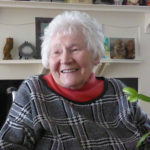 Dr Karen Finch OBE, 8th May 1921 – 15th April 2018. I am very sorry to pass on the news that Karen died peacefully, at home, on Sunday 15 April. Karen in the Tapestry Conservation Department at the Textile Conservation Centre, Hampton Court Palace. Karen taught me as a student and retained her interest in developments at the TCC and later the CTC here in Glasgow. 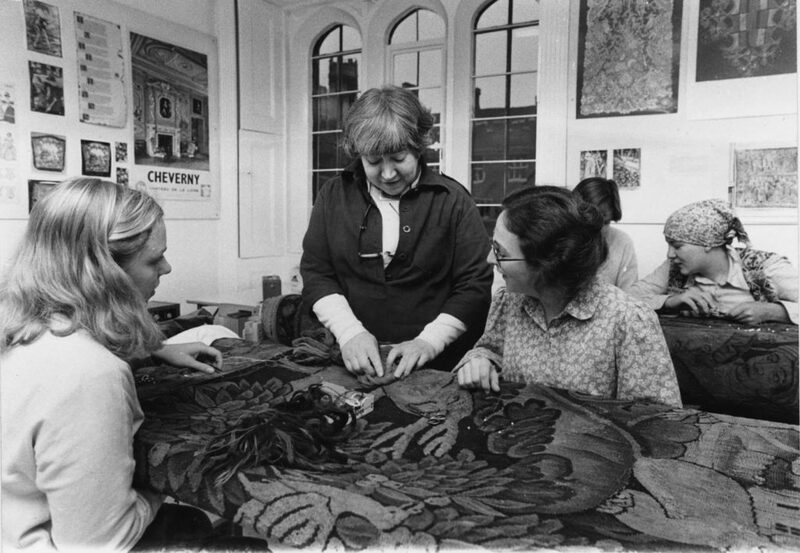 We still use the Karen Finch Reference Collection on a daily basis, and although the textile conservation programme has developed over more than 40 years, elements are still recognisable from the early days. Karen was adamant that conservators needed to understand the science underlying conservation treatments and the teaching staff included a scientist from the earliest days. Her legacy is underpinned by the Karen Finch Prize, offered each year by the Textile Conservation Foundation to an outstanding student. Dress as you please. Post funeral reception at 37 Bisterne Avenue E17 3QR. 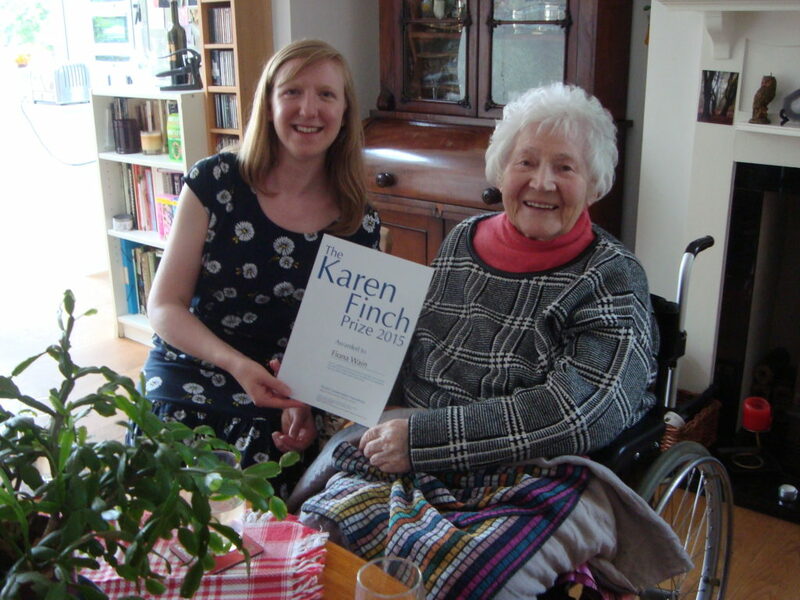 Thank you for this beautifully written post and tribute to Dr Karen Finch OBE Sarah. Sadly I did not know Karen personally, but I can acknowledge her contribution and inspiration to all those who did know her from your post. John Nevinson introduced me to Karen and I think it was one of the luckiest things of my career. She was a most interesting person and could charm the birds from the trees, so many of her students have gone on to great careers. I was so interested when in New York to find she had set up the studio for the tapestries of St John the Divine, I think they had belonged to Charles lst. She had a world wide friendship of many many people. She was so happy with Katrina and Alan and their family and will be greatly missed by so many people. I truly admire her efforts and all that she has achieved. She has been a guiding light for so many of us. Sad news, to learn of Karen’s passing. I admire her devotion to teaching her craft and spreading professional practices globally. She was a delight to know and learn with. My sincere condolences to Karen’s family. I am grateful to have known Karen for many years. She often came to visit in Den Gamle By, Aarhus, Denmark, and conversations with Karen were always inspiring. Condolences to Karen’s family from LACMA’s Textile Conservation Laboratory. Karen Finch was one of the great pioneers in our field. Catherine, Susan and Bermet.